This board is for posting awards and other achievements. Racing and showing of your Scorpions. We will move various threads from the general board to here from time to time so feel free to continue to post your wins there as well. I guess this is where I can put old racing pictures? The first is of my two favorite Scorpions. A 71 Super Stinger free air 340. 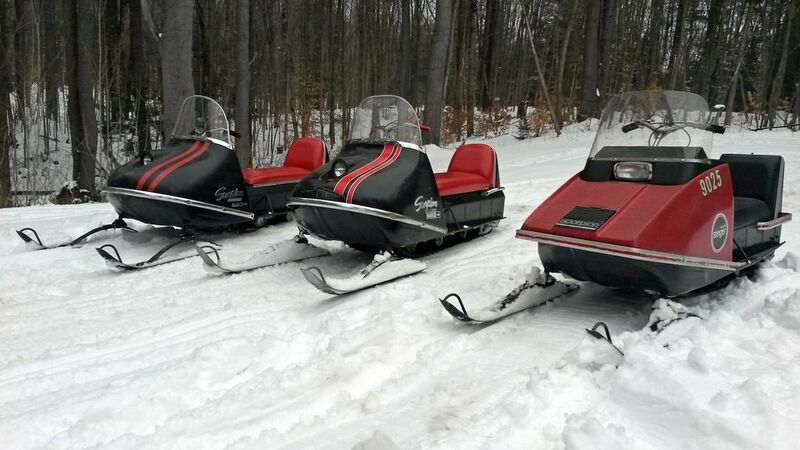 The other is a stock 1970 440 Sachs. 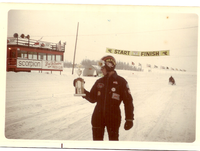 The second shot was from the West Yellowstone races of 1971. I got first place with the trusty stock 440 Sachs. Notice the Scorpion sign on the building? Always nice to see old pics from back in the day.